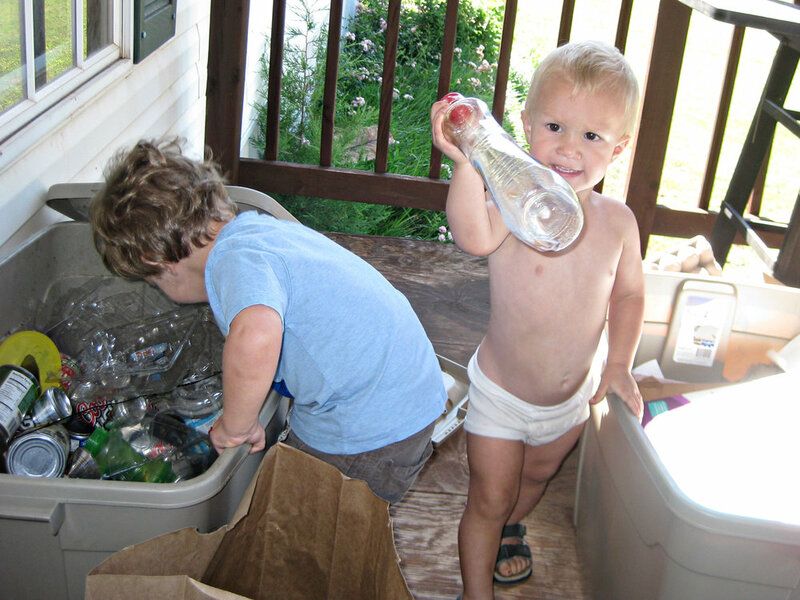 Recycling day is a particular favorite around here. It's the one day a month Beau is allowed to "rummage through the trash," and for a kid who loves dumping stuff out, that's heaven! And right now, sorting and matching similar items is particularly fun. Almost-two is an age proving to be chock-full of lessons. For all of us. More and more of Beau's stubbornness is beginning to show, and as his parents, our job is to shape that strong will into a trait that will be productive and serve him well later in life, rather than hinder him. The hard part is allowing our children to be who God created THEM to be, not who He created us to be. So many times, parents get caught up in trying to make their kids more like themselves. I'm learning (through a kid who is stubborn like me, but otherwise different from me) that the God-given traits of our children are to be molded and polished, not stifled. While "negative" mindsets (like anger and selfishness) need to be trained, even they can be helpful, productive emotions in the right scenario. So, we're starting with the recycling bin. We're both learning that even something that's normally off-limits is perfectly acceptable (and even helpful) in the right context.